These days, buying a new TV can prove to be a daunting task. This is because there are so many options regarding types and features. While doing a quick online search for the best TV options in Kenya, I was bombarded by more questions than answers. At that moment, I had to figure out whether I wanted a plasma, LCD, LED or an OLED TV. As if this was not enough, an online retailer sang praises about the 4K TV. Indeed, this was even more confusing. Thankfully, this guide has been compiled to give you top pointers when buying a TV in 2018 and beyond. Cut the jargon and figure out the best attributes to consider before making that crucial order for a new TV. First things first. It is really helpful to learn about the various TV types in the market today. Right now, smart TVs are on top. These are simply those that connect to the Internet. You will be happy to learn that most TVs are now smart. Below is a breakdown of all the major types. OLED - This is short for Organic Light Emitting Diode TV. They are known for their high quality images owing to their high contrast ratios. They are great if you are looking for that dramatic cinematic experience with your entertainment. They employ LED light to create the images. These screens are known for being pricey. If you do not mind parting with extra cash, this is a good option. LCD - Liquid Crystal Displays are cheaper than most TVs. Apart from having a good color display, they are excellent at saving energy. However, they are known for their limited angle viewing ability. All in all, they are the most common to find, making them a reasonable bargain. LED - Short for Light Emitting Diode, these TVs are very similar to the LCD types. The only difference is that here, LEDs are used instead of the liquid crystals. This option does not consume as much power compared to plasma and LCD. The downside is that you will dig deeper into your pocket for them. Plasma - These TVs will give you high quality dramatic images and displays. They are great if you want a wider viewing angle. They are known for both color quality and a high contrast ratio. If you are looking for that fairly big TV that will serve a sizable room, this is a great choice. Smart TVs - As hinted to above, these are TVs that give you Internet access for a world of more entertainment. If you are looking to enjoy services like Netflix, these choices are excellent. Some use Ethernet connectors while others use Wi-Fi. 4K TVs - This refers to the resolution ability of the TV. The sharpness is usually measured or determined through pixels. The most common resolutions are HD or high definition TVs. There is a better version of sharpness called full HD. Today, this bar has been set higher as Ultra HD sets give new meaning to TV resolutions. Ultra HD sets are also called 4K TVs. The size of your room or space should determine the actual screen size. This is because you want to provide the best visuals for everybody present. Also, your budget needs can also determine the screen size. 55 inches are very common if you are looking for that wholesome screen that will suit your area. The larger the screen, the higher the resolution. Therefore, know the specifications to make an informed choice. For budget buyers, anything from 32 inches will serve the purpose. With a higher refresh rate, you are able to get a smooth image reducing motion blurs. If you are into action movies or gaming, this high rate will give you that seamless entertainment because the images will remain crisp. Check this rate as indicated in hertz and you will find from 60Hz to 144Hz or more. The higher the rate, the better for you. A low contrast ratio means that the black area of an image may appear as a dull or washed out grey. When it comes to bright areas, there will be lack of vigor and to this end, the ratio must be satisfactory. The bigger the ratio, the better the quality of your images will be. The plugs and ports will allow you to do more with your TV. To this end, the more the ports, the better for you. From gaming consoles to sound bars, inputs will find many uses. Having at least four HDMI ports is advised. HDCP compatibility is key to 4K TVs shoppers. - Information is always key. When shopping, make sure to get all the information available on the product. Read the specifications provided by the online retailer first. Then, look for reviews that can give you more insights into the functionality and quality. 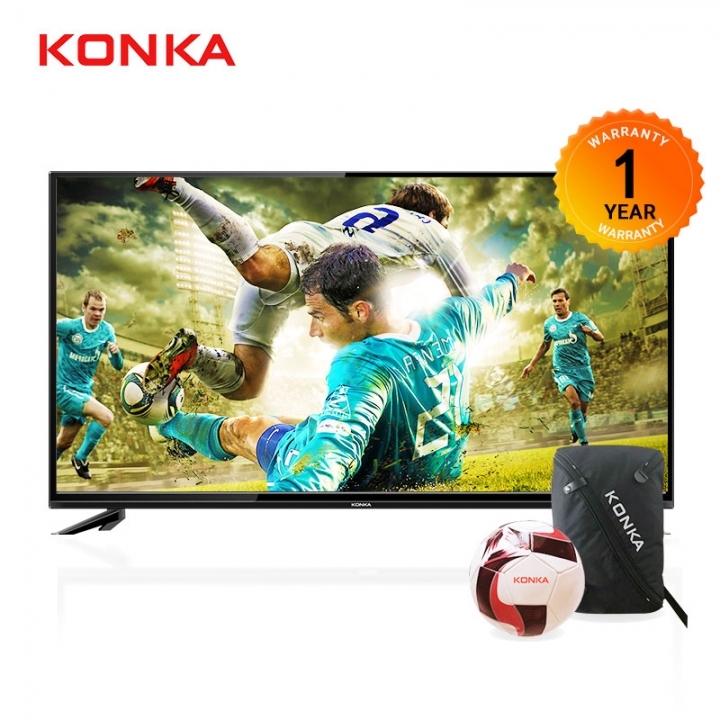 - Looking for the cheapest TV online may not give you value for money. Know the capabilities of the TV and see whether they fit what you have in mind. Sometimes, spending a little more for a higher quality will save you money in the long term. - Trying out non-mainstream brands will not hurt. Many leading brands will sell their products at a premium. Looking for alternatives can save you money and give you quality as well. - Take your time before buying. Just order when you are absolutely sure about the product you have found. Don't hesitate to go for deals and discounts. Stay alert for deals that could save you so much on your best TV option.